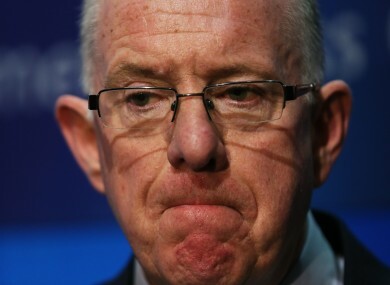 Charlie Flanagan says the EU needs a “strong and unified response to the terror in Northern Iraq”. FOREIGN MINISTERS FROM across the European Union are to hold an emergency meeting in Brussels on Friday to talk about the crisis in Iraq. The situation in Iraq has deteriorated significantly in recent days, with almost one quarter of a million people believed to be in need of food, water, and other humanitarian assistance, as Islamic State (ISIS) militants have advanced across the northern part of the country. Minister for Foreign Affairs Charlie Flanagan said it was good that the extraordinary meeting of the Foreign Affairs Council, which was announced today, was happening. “I am extremely concerned about the growing humanitarian crisis, in particular the threat posted to minorities, women, and children, in the wake of the advances by ISIS,” he said. He said that the meeting would give “an extremely timely opportunity to discuss and formulate a strong and unified response to the terror that is gripping Northern Iraq”. There has been a growing push internationally to tackle the ISIS militants and to help those who have fled their advance. Ireland announced earlier today that it will take in a small number of families fleeing the violence in Iraq. The meeting of the EU’s Foreign Affairs Council, which was convened by Catherine Ashton, the representative of the EU for foreign affairs, is also expected to discuss Gaza, Libya and Ukraine. Email “What to do? The EU is to hold an extraordinary meeting on Iraq”. Feedback on “What to do? The EU is to hold an extraordinary meeting on Iraq”.